Every business should have an IT infrastructure that’s not only strong and secure, but can also adapt to the on-going changes in your growing business. By structuring your network cabling, it means future events such as office refurbishments and extensions, data-centre transformations and adopting new technologies is made simpler and more cost effective. Tech Advance specialise in the design, installation and maintenance of data cabling, offering full Fibre Optic data cabling services; both Multimode & Single Mode Fibre optic systems. If you are moving into a new office, it is essential to ensure that each position has a socket available to connect a telephone, a computer and any other equipment needed such as printers, scanners and fax machines etc. Some clients who have been in the same premises for a long time need to consider upgrading and replacing old data cabling with new Cat5e cable or Cat6 cable. Installing a structured data cabling system correctly provides a cabling infrastructure that is highly effective, flexible and reliable, ensuring predictable performance as well as the flexibility to accommodate changes so that the hardware you use in your business, now and in the future, is supported. Category 5e (CAT-5e) cabling is the accepted minimum standard for connecting computers, Ethernet switches and network devices including telephones together. As an alternative to plugging PCs directly into Ethernet switches, CAT-5e structured cabling provides an easier, neater and more flexible option for network and telecoms management. Cat6 cables are primarily used for networks looking to run faster than Cat5e. Cat6 cable is composed of four pairs of wires, similar to Cat5 cable. The primary difference between the two is that, Cat6 makes full use of all four pairs. This is why Cat6 can support communications at more than twice the speed of Cat5e, allowing for Gigabit Ethernet speeds of up to 1 gigabit per second. 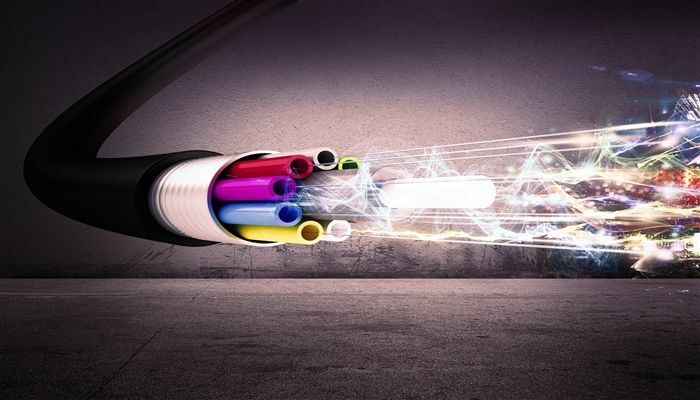 Cat6a cabling systems are higher performance than Cat6 and is designed to support 10GBase-T over the full 100 metre, 4 connector channel. Cat6a uses 4-pair twisted cables and will typically use RJ45 connectors. One of the biggest benefits of Fibre Optic cabling is the high bandwidth that it allows. With Fibre Optic cabling, communication signals are transmitted much faster at a higher bandwidth and over much greater distances than copper data cabling systems. Tech Advance provides Network Cabling for offices covering all of your VoIP, IT services, CCTV Access Control Systems, Uninterruptible Power Supplies, Inert Gas Fire Suppression Systems and Air Conditioning units. We hope the above information is useful to you, if you would like assistance in understanding your best options then please contact us on 0800 50 533 50 or send us an Enquiry Form and one of our team will get back to you very soon. Alternatively you can download our telephone systems buyers guide as useful reference material or even run a Quick Quote to obtain a budget cost for a new telephone system in less than 60 seconds.